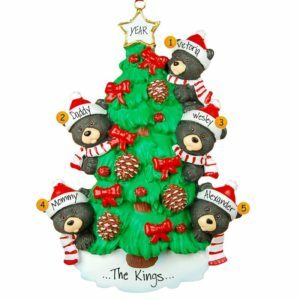 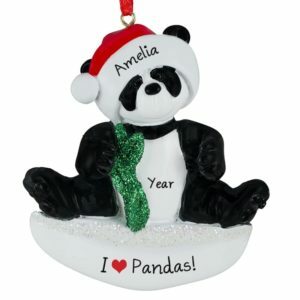 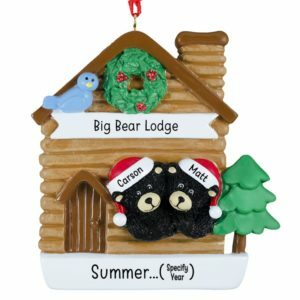 Check out our adorable and unique selection of Bear ornaments! 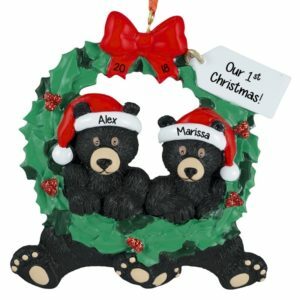 If you just can’t “bear” the thought of hitting the mall for another shopping trip, browse on-line to find the best selection of personalized bear decorations. 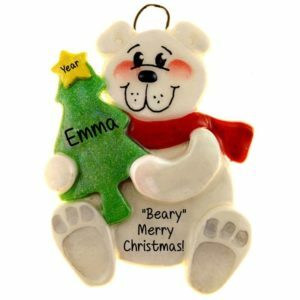 Our cool polar bear customized ornaments are a super way to share a cuddle with a family member far away during the holiday season. 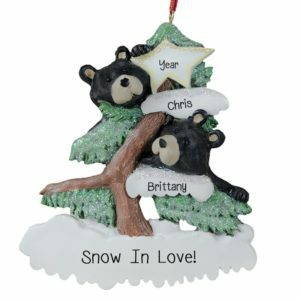 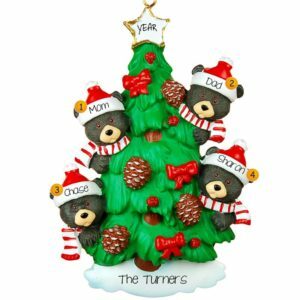 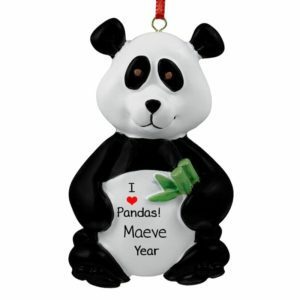 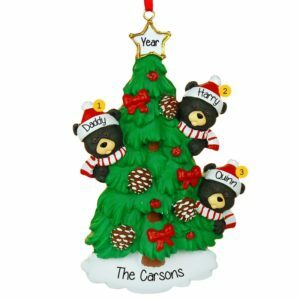 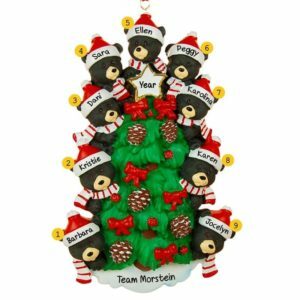 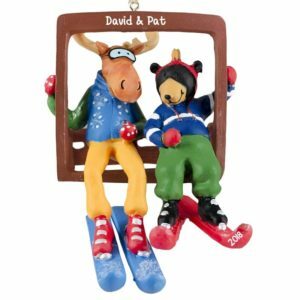 Our paws-atively adorable black bear hand personalized ornaments are a clever way to include everyone’s name on a family reunion souvenir. 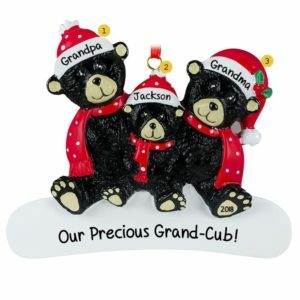 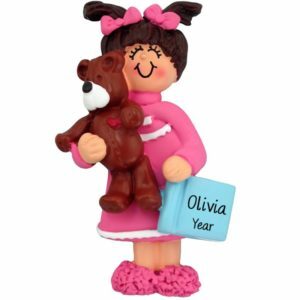 How about one of our little boy or girl figurines clutching their favorite bear for an un-bear-ably cute personalized Christmas decoration they are sure to look for year after year. Our personalized bear Christmas ornaments are a unique & affordable way to rekindle memories of a family vacation to a rustic location with the thrill of bear spotting. 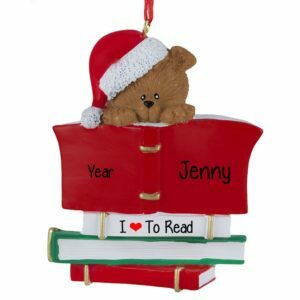 There are countless ways to celebrate the holidays with personalized bear Christmas ornaments.